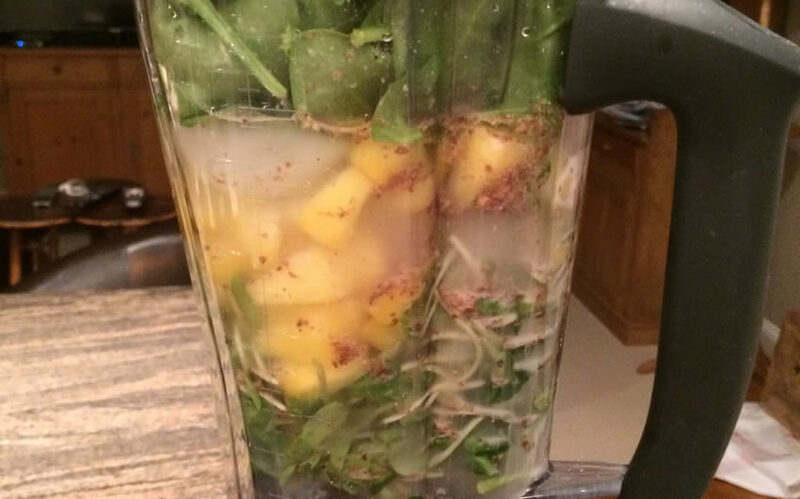 Starting with the ginger, apple & pineapple load your blender with all ingredients. Put the ice and greens in last. 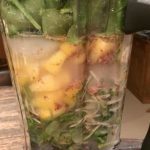 Blend until smooth, adding a little water to make the consistency to your liking. To use matcha in another fun way, click here for my Matcha Chia Pudding recipe!